Yes, The Wolfe Pack dominated the Omaha Color Run this past weekend! I enjoyed every color filled moment of this race! 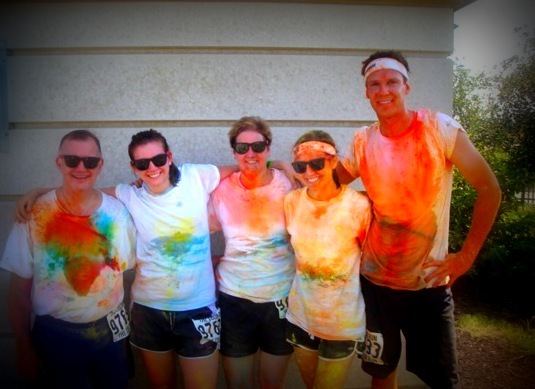 It was exhilarating to run through a spray of color as you completed each Kilometer! By the end of the race, We looked a hot colorful mess when we were done! I may or may not still have some paint splotches left on me! It was great to see my entire family out there racing, great family bonding event! We even got some great pictures for our Christmas Card! Trash Bags make the perfect post race outfit! This is how you ride home in style! Can't get the car dirty! 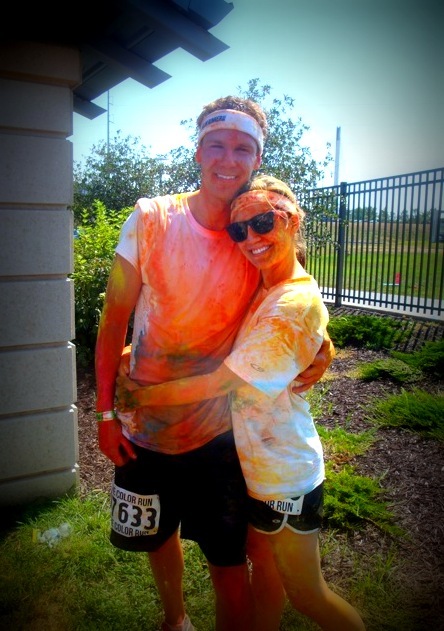 The Omaha Color Run had a great turn out, 13,000 people showed up to participate on a hot Saturday Morning! And I will say that despite the heat I ran well, I now cannot wait to sign up for my next race... I am thinking it is time to start training again for a 10k! 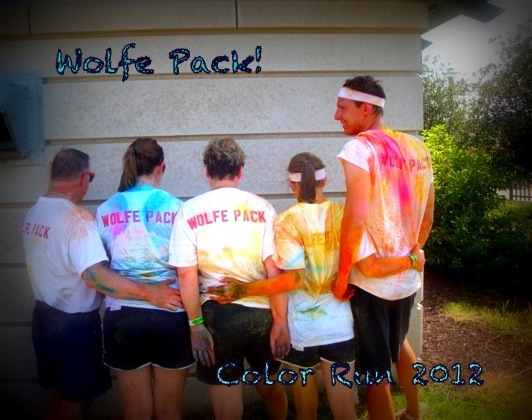 Did any of you run the Color Run? 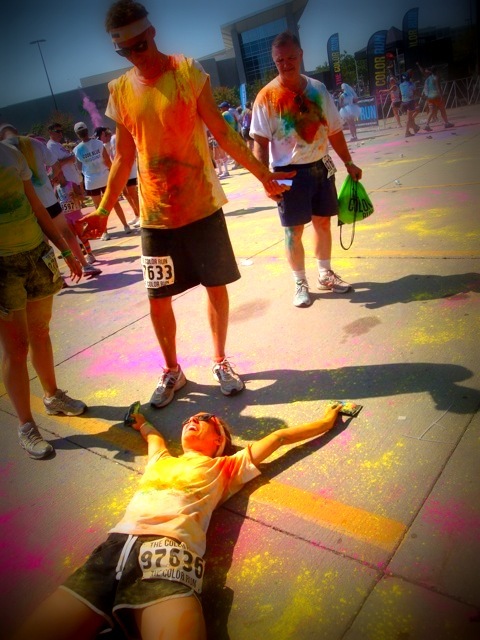 After running a race do you instantly want to sign up for another one? I cant wait for registration to open up for the color run in nj! that looks like so much fun! 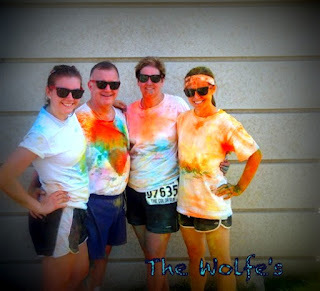 i definitely need to sign up for another race...running is so much better when you're working towards a specific goal! Now that looks like my kind of running! Fun! ?